The lifespan of a septic system and its components depends several factors: the size of your household, your household habits, the tank size, and the topography and soil condition of the drain field. Your septic system’s length of service can vary a lot – from a few years to several decades. A good rule of thumb is to have your system inspected every four to five years. An inspection may uncover problems that can be solved inexpensively before they lead to costly tank and drain field repair or replacement. Westfall's certified inspection addresses all the system’s components: the tank, dosing tank, pump and panel, secondary treatment units, and the drain field. We have expertise in all septic technology, including Alternative Treatment Technology (ATT), gravity fed systems, pressurized systems, and large commercial systems. During the inspection, we determine the kind of system you have, its location (sometimes we find that it extends onto neighboring property), usage capacity, an assessment of past maintenance, current utilized percentage, and whether the system has been installed to code and with required permits. We conduct inspections Monday - Thursday. There's a little paperwork involved - please read about requesting an inspection. 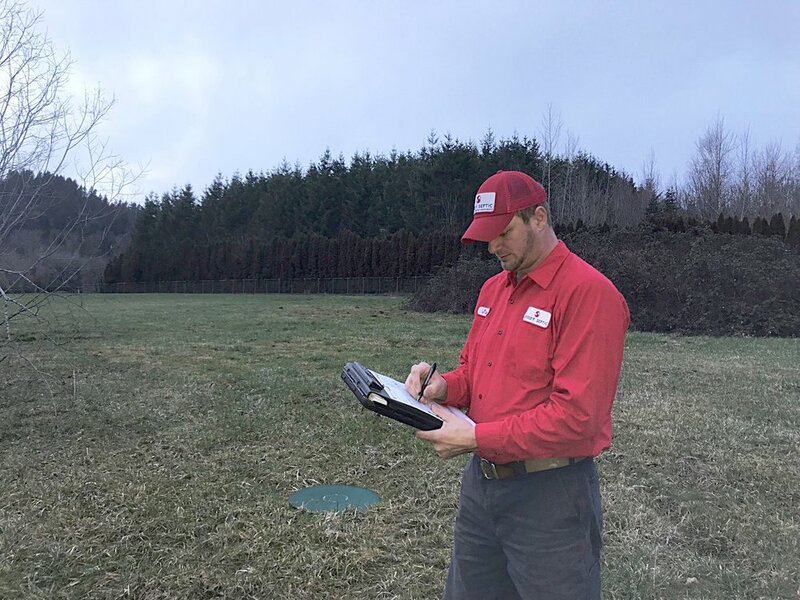 In Oregon, licensed septic inspectors use the DEQ's Existing Systems Evaluation Report (ESER) (.pdf). See the DEQ's Onsite Wastewater Management Program for septic system rules and best practices. In Washington, policies vary by county. Westfall inspectors use the ESER form supplemented by others. See Washington State septic system resources here. A septic system can be the single most expensive part of a home to replace. The last thing a new homeowner wants is the unexpected expense of a system replacement costing many thousands of dollars. So during the home buying process, the parties may order an inspection so that its condition is known while negotiating sale terms. Let us help you negotiate your home transaction with confidence! To request an inspection, call (541) 567-8940 or complete the form and we'll call you. We have received your inquiry; thank you. During 7:00-4:30 office hours, expect a call from us within the next two hours.